Evin Lewis is a Trinidadian Cricketer who plays for the West Indies team in the limited over’s format. He was born on 27th December 1991 in Rio Claro, Trinidad. He made head turns through his aggressive stroke play and technique which has mesmerized many cricketing fans. Lewis is the only third batsman in history to score two T20I centuries. He has also been part of various leagues across the globe, showing his class as a batsman in all parts of the globe. Lewis moved up the ranks playing age-group cricket for his local side Trinidad & Tobago and was part of a championship winning Under-19 side in 2008. His debut in his List-A career was in October 2009. Lewis' best has come in the T20 Cricket. In 2013, he was Trinidad & Tobago's top-scorer in the Champions League with a highly impressive strike-rate of 141.61. Lewis moved up the ranks playing age-group cricket for Trinidad & Tobago and was part of a championship winning Under-19 side in 2008. In March 2016, Lewis became a part of the West Indies squad during the 2016 ICC World Twenty20, replacing the injured Lendl Simmons, who was one of the mainstays of the West Indies batting lineup. He made his T20I debut on 27 March 2016 against the minnow Afghan side at Nagpur. He made his ODI debut for the national side against Pakistan on 5 October 2016. In his very second T20I, Lewis scored a blistering century against India in the first match of the series in the USA. He scored the century off 48 balls, which was the second-fastest by a West Indian after Gayle and sixth fastest overall. He scored his maiden ODI century with an important knock of 148 against Sri Lanka at the Harare Sports Club during the Zimbabwe Tri-series. While wickets fell around him, he batted maturely and struck some lusty blows when the opportunity came. The knock included 15 fours and 4 maximums. He made his second T20I hundred on 9 July 2017 against India at Sabina Park. He smashed 125*, which is recorded as the highest score in a T20I chase. Lewis, in fact, has set a new record for becoming the first batsman to score two centuries against the same opposition in T20I history as well. Despite the success he found in Zimbabwe, he was unable to carry his form in the series against England, Pakistan, and India. He has been an integral part of his home side Trinidad and Tobago since making his debut in the 2012 season. 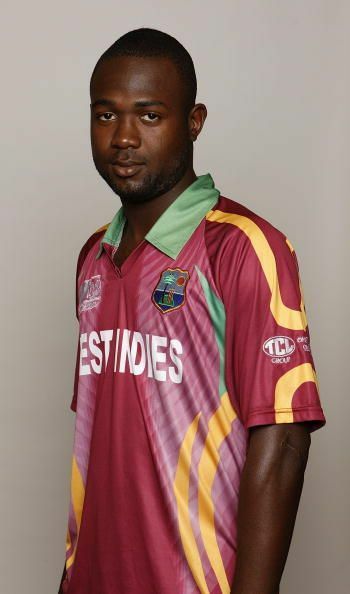 He has also played for the St. Kitts and Nevis Patriots in CPL. He is also a part of the Dhaka Dynamites in the BPL.